Whether you're looking for a massive farmhouse estate or a cute country cottage, we've got you covered. 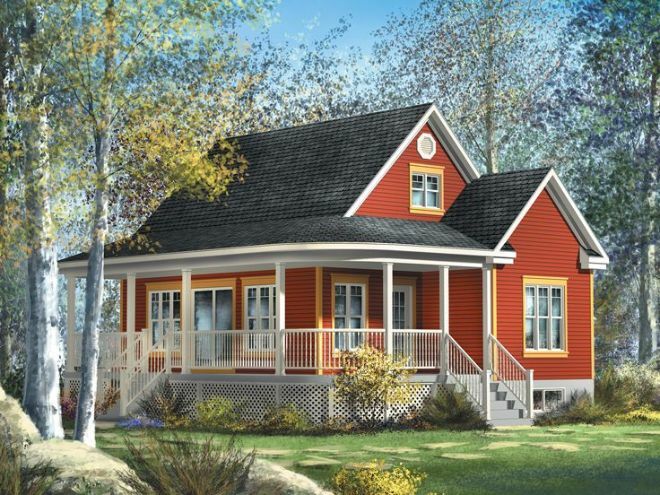 Farmhouses are versatile in size and in style - ready to be customized to you and your family's needs. Check out the 6 farmhouse layouts below and get inspired. 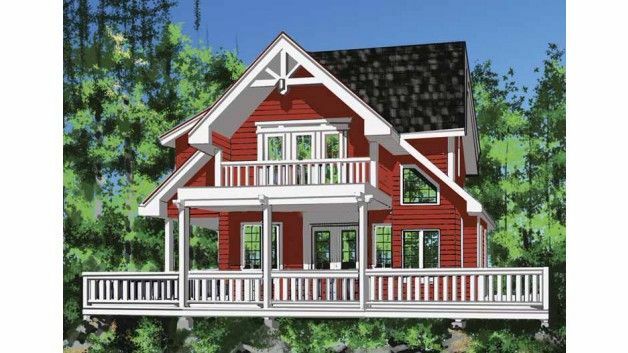 These homes feature wraparound porches, cozy fireplaces, spacious master suites, and kitchens ready for entertaining. You're head will be spinning with ideas! 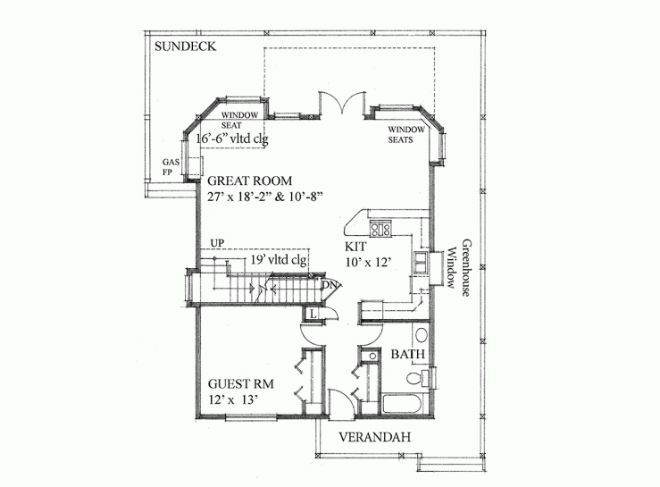 Links to purchase the floor plans can be found at the end of each home's title. 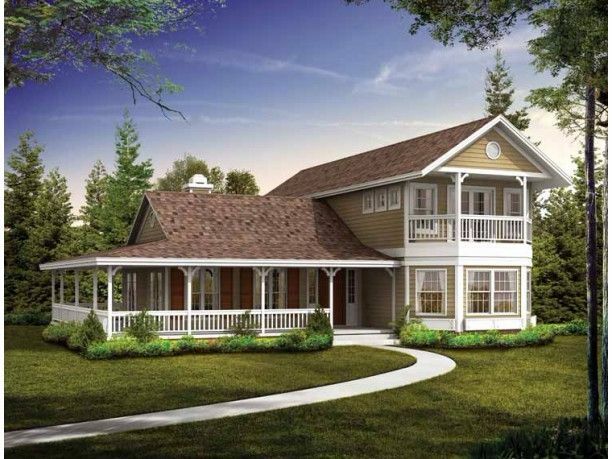 Can't you see yourself relaxing with a glass of lemonade on this beautiful wraparound porch? Upon entry, a spacious living room and library are located to the left. A den is on the right. Towards the back is a dining space and open kitchen. 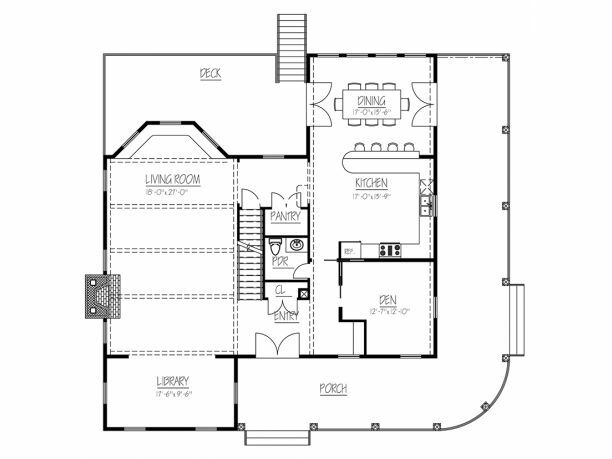 Three bedrooms are upstairs, including the luxurious master suite with its private balcony. 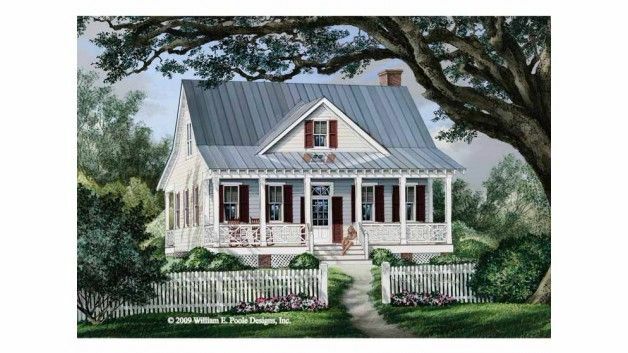 The charming exterior of this home features balustrades and brackets, dual balconies, and a wraparound porch. The interior includes an expansive two-story great room filled with light from six windows, a fireplace, and a sloped ceiling. 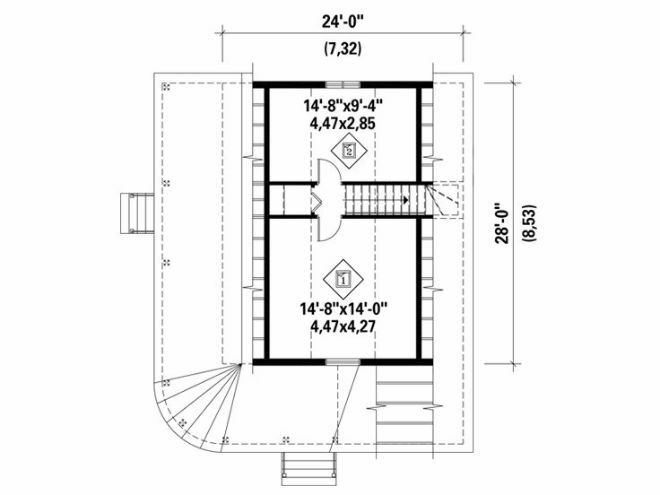 A U-shaped kitchen and breakfast nook are towards the back of the house. 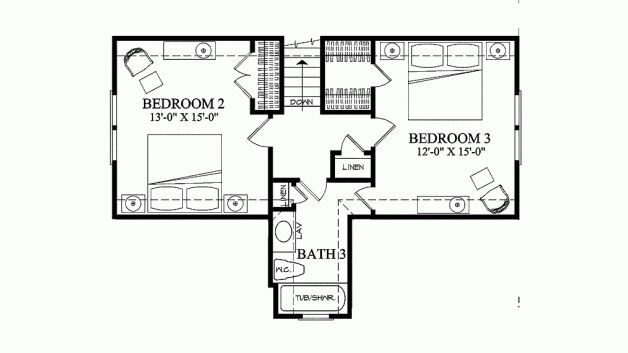 A spacious master suite is on the first floor, the other two bedrooms are on the second floor. This cute farmhouse cottage has plenty of natural light thanks to lots of windows. Graceful columns on the front and rear porches add character. 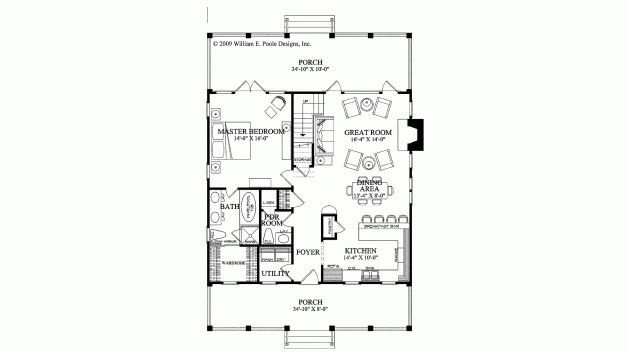 An open floor plan inside includes a great room, dining area, and kitchen in one large space. 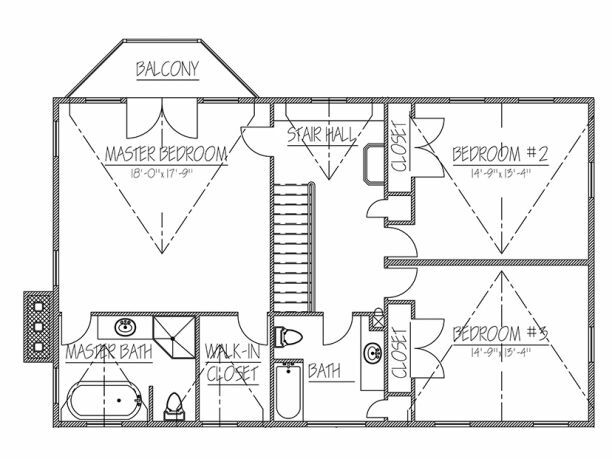 The master suite is on the first floor, and two additional family bedrooms share a full bath upstairs. 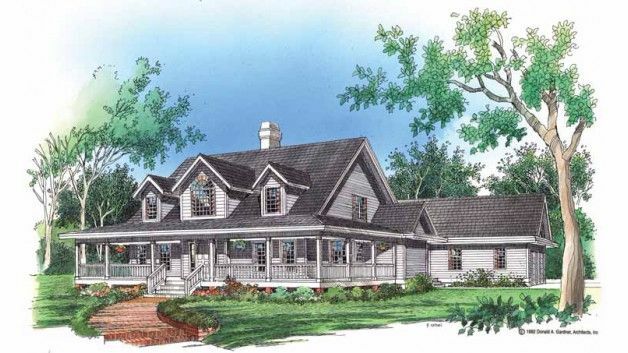 This farmhouse layout is great for entertaining with its huge great room and open kitchen. The first floor features a beautiful porch that wraps around almost the entire house. 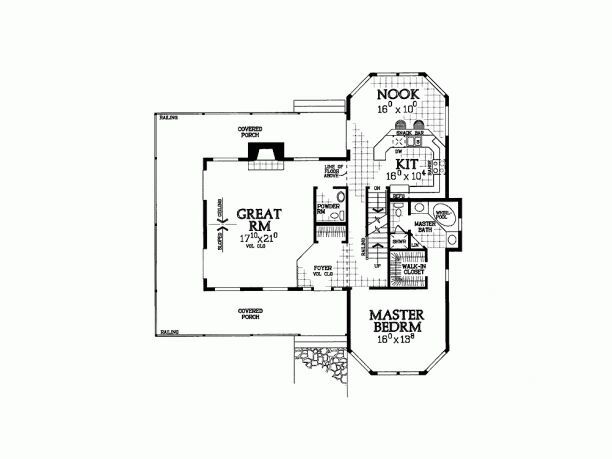 The second-story master suite is enormous, and includes vaulted ceilings, a private balcony, and deluxe bathroom. This farmhouse has beautiful arched top windows that compliment the exterior and allow natural light to flow into the great room. The kitchen boasts a large island and a breakfast nook. 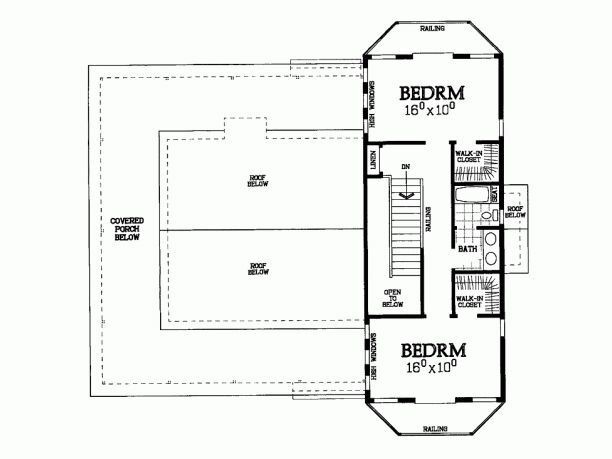 The master bedroom is located on the first floor and includes a whirlpool tub. 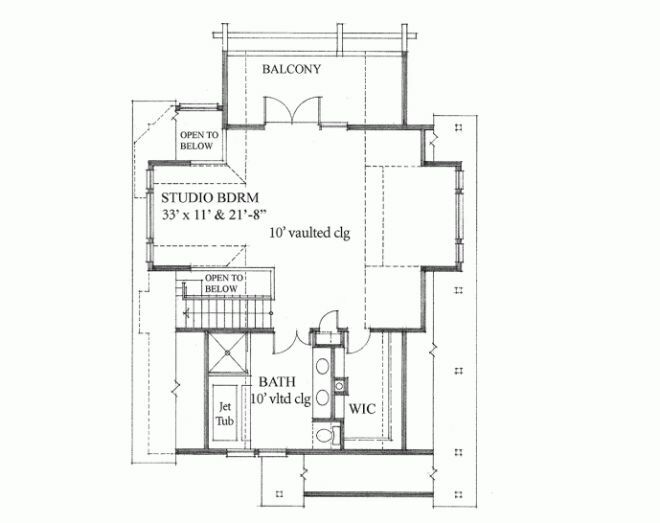 You'll find two bedrooms and an open loft study space on the second floor. This farmhouse is only 1,200 square feet but is full of character. 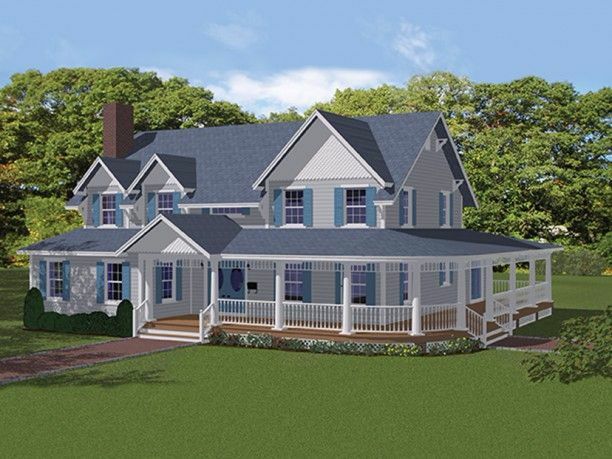 The partial wraparound porch with columns creates a charming exterior. 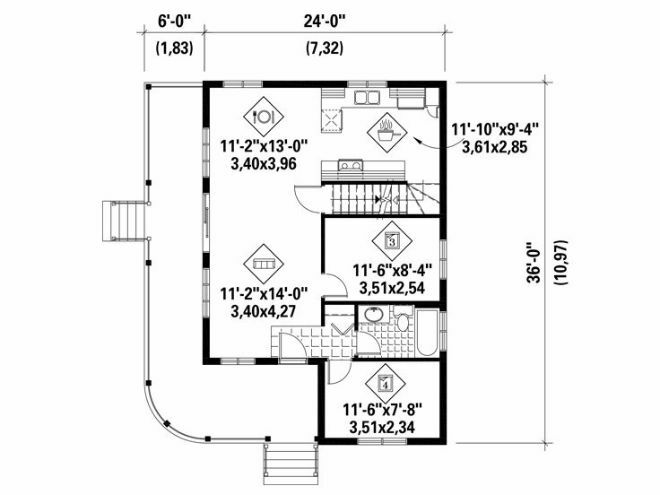 The interior is efficiently planned with an open living and dining room connected to the kitchen on the first floor, as well as two small bedrooms and a bathroom. 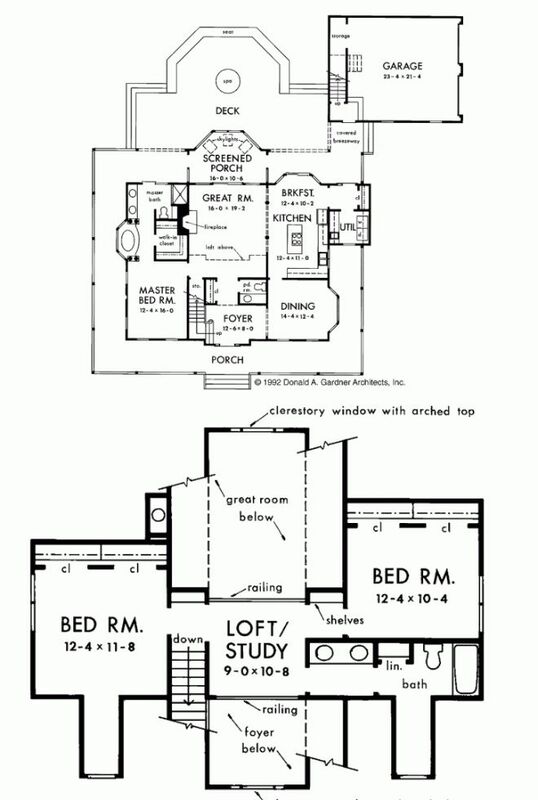 Upstairs you'll find two more bedrooms. 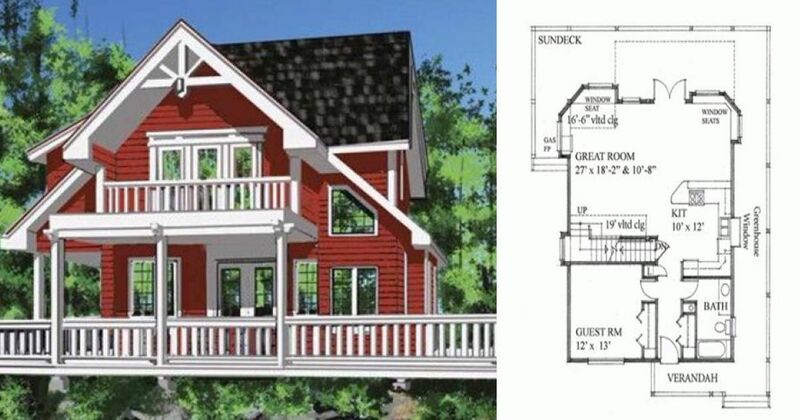 Which of these plans is your favorite? Let us know on Facebook, and make sure to SHARE this post with your friends!